the last release of code seem to have introduced folders (i can see several sections and an empty ‘nouveau dossier’ section) but i dont see in the doc how to create, name folders or move my files to them. Any hint or link? @Jmv38 - where are you proposing to put the folders? I have many of my files, within Codea, held in collections. The collections appear as a text title on the project page in the form of “collection name >”. Tapping on them opens them up to see the project files within. They are really folders in the Codea app folder - used to be labelled “folder name.collection” but I think the .collection part may now have been dropped. Try to put two folders in the Codea app folder (which is really the Documents folder when Codea is running) named say folder1 and folder 2.collection and transfer a project to each from the main documents folder. You can use FileApp to do this. If you like the facility then you can reorganise your projects as you wish. @Simeon smooth demo, never used the split screen approach, now wetted my appetite. thank you @Simeon for your answer. I have just tried your proposal but i got an awfull ‘user experience’. 1/ i have about 1000 projects to move and, as usual, Apple makes it impossible to select easily and quickly more than a handfull of files, and once selected I must click several times the screen to move the files into my new folder. 2/ anyway i decided to lose 1/2 hour to do what takes normally 1 min, created a folder and moved about 40 files. which means ‘impossible to finish operation’. Codea was closed so I think that is not a problem with Codea but a slide kick from Apple... Then i knew ‘this is going to be long, long, i can move only a few files each time..’. Oh noooo! Apple just added a ‘0’ and some spaces before each of my filename... all the assets and dependencies will be wrong, i must correct manually ALL my file names... Nooooo! Then i decided to hold that painful experience before i get utterly mad and frustrated, and all my projects corrupted. I hope this feedback was useful for you. @Bri_G thanks for the tips! 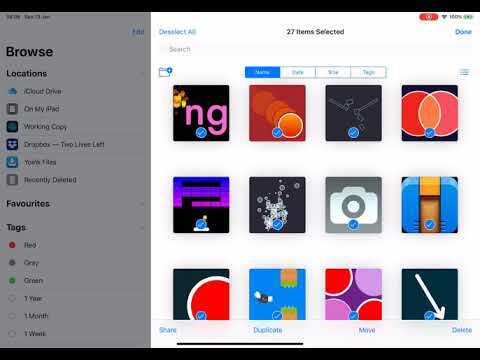 @jmv38 - you could set up folders on Dropbox with the relevant files and assets and copy the folders you need into the Codea Documents folder to edit the update then Dropbox files. You have the advantage of being able to address The file with Dropbox:. Messier I know but manageable. I thought I had a problem with a few hundred files. @Jmv38 I copied my Codea folder (500+ projects) from On My iPad to the iCloud Drive and didn’t have any problems. I didn’t try to select all the projects, but just copied the whole folder. @dave1707 - wouldn’t that copy the Codea app code? You could just select all the files and copy those to a folder in iCloud. In my case that would include a lot of graphics. @Bri_G I don’t think it copies the Codea app code, I don’t see why it should. But it does copy Examples, Craft, Dropbox, graphics and other stuff. You can then go into the copied folder and delete what you don’t want to leave just the Codea projects. @Jmv38 I'm sorry this happened! Once you tap "Select" you can choose "Select All"